For anyone wondering what all of the hype is about, a). it is about Richard and his customer service and b). it is about this. I just can't say enough about how interesting and beautiful this stuff is. The package is perfect if not too much stuff. This is the 29 package in a standard 29 tank. I was lucky enough to get a 3.5" mantis with part one. I loved him and waited almost two weeks to order part two even though the water was ammonia free after about 7 days. 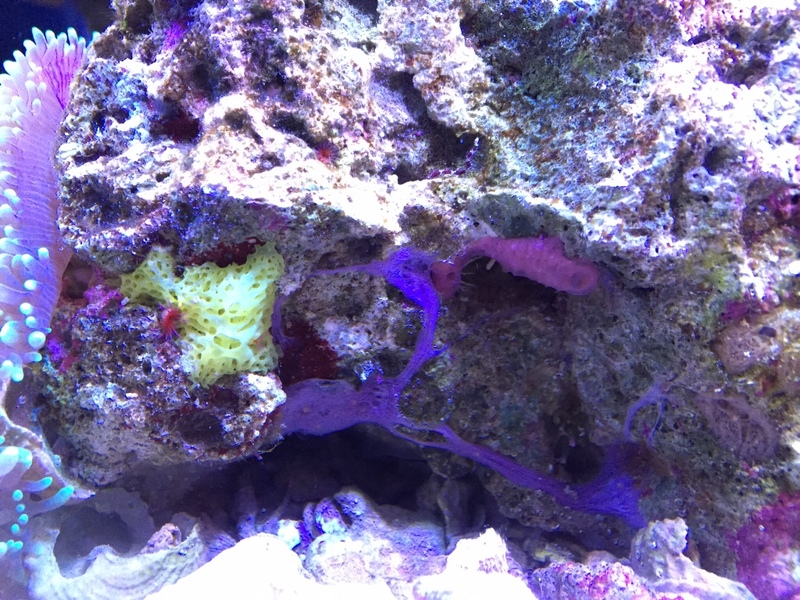 I did four water changes during the first five days, 15%, 10%, 20% then 15% and the ammonia started to recede. I easily caught the mantis in a net the night before part two arrived by waiting on him to come out to play and then moving his favorite rock. I wish I could have kept him, but he was easy to relocate. My wife wouldn't let me set up another tank just to have this awesome little guy. Part two showed up right on schedule as promised, and here it is on day five. I haven't had to change any water after adding part two. It got up to 0.5 on day two, but has been hovering around 0.25 since. So incredibly easy, so incredibly beautiful, and even with the cost of two shipments, cheaper by half than what I could've filled the tank with poor quality LFS rock and sand. I keep reading on this board about the best live rock. If you want "live rock" this is it. Bacteria grow on all rocks. This doesn't. Ps, I had to give away or sell the gorgs, they got too big. This rock is as old as this post is. I haven't updated since. One guy I wish I could have dinner with on Tuesday night. This guy....Richard. So cool that you came back to give an update - thanks! Looks great! 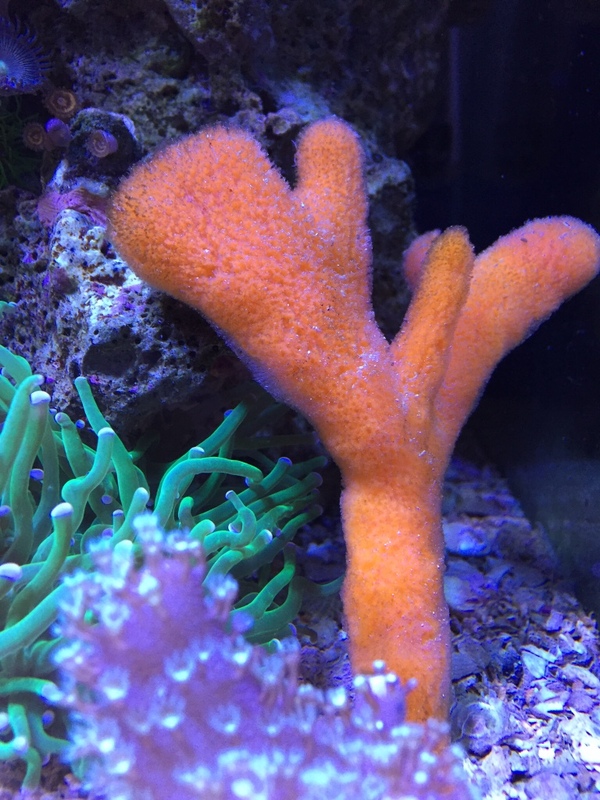 Do you feed your sponges anything in particular? Hoping to emulate your success with keeping them. I have periodically fed some phyto but nothing on a schedule. Some of the sponge didn't last more than a month, but the orange tree and a red ball sponge have lasted the two years.